Personalization: The activity of an audience on your social platforms impacts the way search engines rank their search results. For example, Google uses Google+ activity to personalize the results shown to the user. Bing does the same thing with Facebook activity. Website traffic volume and engagement: Social media is the perfect tool to drive an audience to your website. Engaging content and blog posts are key to pique interest in your brand and to encourage people to spend more time on your site. 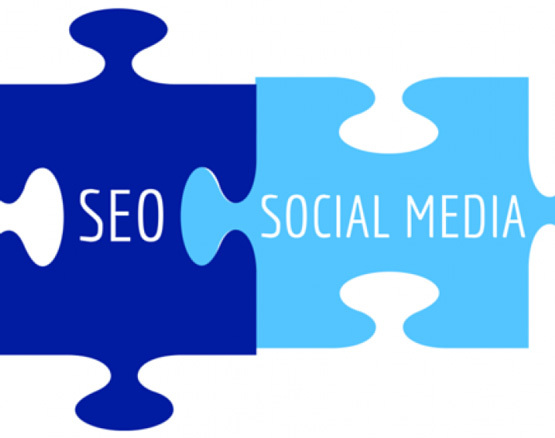 Social links also bring qualified leads directly to your website. Search engines use metrics like bounce rate, traffic volume, and engagement with the website when ranking sites. Improving these rates for your website will improve your SEO. Boosts authority: Social media allows your brand to build a credible voice online and elevates your brand awareness, thus increasing the amount of consumers who interact with your brand through your social platforms. These factors are used by search engines to determine if you are a reliable source and to expand the likelihood that your website will show up higher in search results. Search engines observe social media to see what is interesting, relevant, and credible. It is important for brands to have a meaningful social media presence online, as social media will continue influence search rankings even more in the future. Interested in boosting your social media presence and improving your brand’s SEO? The Harmon Group is here to help. Our team knows all of the current trends and best practices to help your social media positively impact your SEO. Contact us today to get started.